Looks great. Solid construction. Good value for money. This pilot style timepiece features a bold case with a sandblast finish dial. It is powered by a quartz movement that includes a retrograde day of the week arc. A glove-style leather strap with metal studs completes its sporty design. I am really happy I purchased this watch. 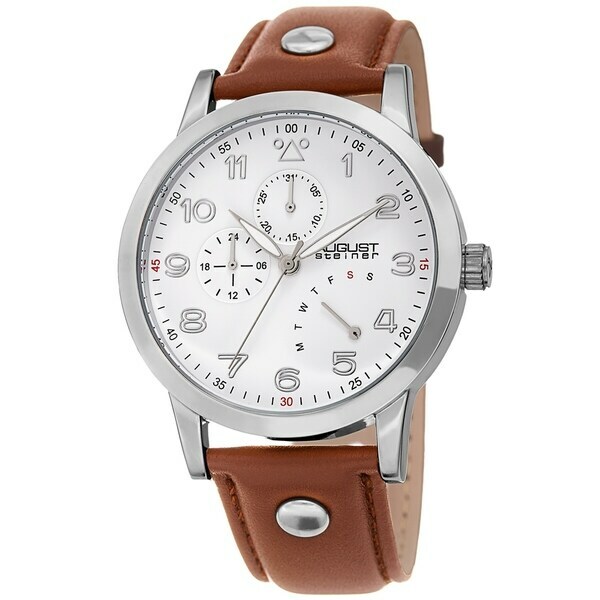 It looks classy and keeps very accurate time.I highly recommend this watch to everyone. Keeps perfect time; Very Classy! ; excellent value.